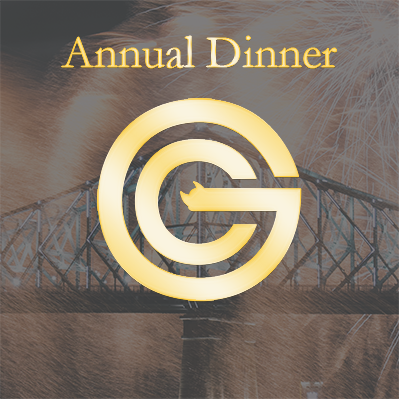 84th Annual Grunt Club Dinner | Grunt Club Inc.
Our 84th Annual Dinner will be held at the Montreal Bonaventure Hotel on Friday, December 7th, 2018 at 7:30 p.m.
Tickets for this special event are available at a cost of $1650.00 per table of 10 (GST/QST included). Individual tickets are also available to members at a cost of $165 per person (GST/QST included). The Grunt Club will be distributing most of the surplus generated by this event to The Mariner’s House, Ste-Justine Hospital and the Montreal Children’s Hospital. The Annual Dinner is always a popular event as it represents a maritime tradition and features consistently great entertainment. For these reasons, we expect demand for tickets to be strong and encourage all Grunt Club Members and their guests to attend. As always, table and individual ticket purchases will be restricted to members of the Grunt Club. Furthermore, there must be AT LEAST ONE GRUNT CLUB MEMBER at each table. The Table Draw will take place on Monday, December 3rd, 2018. The whole of which will be conducted in compliance with the protocol set out below. A notice for the Table Draw will be circulated in the near future. Protocol: Members can purchase the same number of tables they had last year. Any purchased tables over and above last year’s purchases will, however, depend on availability. Any further available tables shall then be sold on a first come, first served basis to members. As always, a certain number of individual tickets will be available for sale at Grunt Club tables. These will also be allotted on a first come, first served basis. We will be celebrating this year’s event with the musical talents of Sylvie Desgroseillers. Sylvie’s spirited and vibrant voice will be sure to have the room moving to the sounds of Motown. A special room rate of $175 is available for those requiring room reservations. Please note that Breakfast is not included in the room rate. For reservations, please contact the Bonaventure Hotel at (514) 878 2332 and specify that you are attending the Grunt Club Dinner in order to take advantage of this rate. For those requesting a hospitality suite, please contact Marguerite Boutin directly at (514) 878-2901 as soon as possible. The deadline to purchase tickets is at the close of business (EST) on Friday, October 19, 2018 – No Exceptions. Payment must accompany all requests and all purchases are final. All orders will be followed up with a confirmation email. No tickets will be distributed. If you have not received a confirmation by Wednesday, November 14th, 2018, please contact Wendy Altona, Manager of The Grunt Club. She can be reached at (514) 245-2488 (between 2:30 p.m. and 5:30 p.m.) or by email at info@gruntclub.org. To avoid any confusion, please note that the company name written on your ticket request form must be the same name that you wish to have on your table card.